This reading group guide for The Party includes an introduction, discussion questions, ideas for enhancing your book club, and a Q&A with author Robyn Harding. The suggested questions are intended to help your reading group find new and interesting angles and topics for your discussion. We hope that these ideas will enrich your conversation and increase your enjoyment of the book. The Sanders family seems to have it all: Kim and her husband, Jeff, live with their two perfect children in a large house in a posh San Francisco neighborhood. 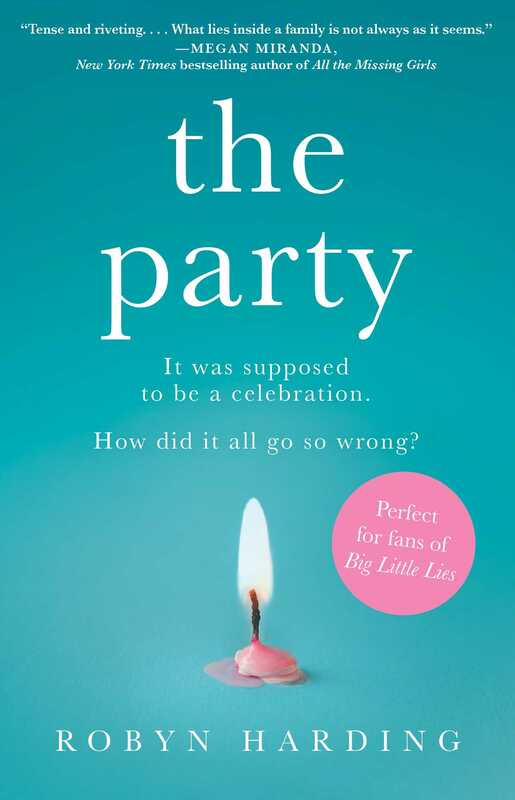 But a Sweet Sixteen party for their daughter, Hannah, goes terribly wrong, upending their lives and the lives of those around them and exposing harsh truths about who they are as a family and as individuals. As readers shadow the characters through the aftermath of a gruesome accident, the façade of perfection falls away, revealing relationships strained by secrets, mistakes, and indiscretions. A lawsuit brings matters to a boil as neighbors, friends, and family members turn against each other. In this story of the unraveling of one well-to-do family is a much more expansive tale about how our desire for status and acceptance can wreak havoc in our lives and the ways that we judge one another while forgetting to first take a look at ourselves. The Party reveals the complicated matter of what it means to be human while cautioning us that it is what is inside of us—and not how people perceive us—that truly matters most. 1. Consider the organization of the story. Whose points of view are represented in the novel? Did any one point of view seem to overshadow the rest? Why do you think the author made the decision to structure the book in this way? How did this structure influence your overall interpretation of the events in the book and your assessment of the characters? 2. How well would you say the characters in the book know each other? What are some of the secrets kept by the characters and why do they keep these secrets? Do they ever reveal or confess their secrets to the other characters? If so, what motivates them to do so and how are their secrets received? 3. What is “the incident” that Kim refers to in reference to her relationship with her husband, Jeff? How does Kim respond to “the incident” and do you agree with her reaction? How does “the incident” compare to Kim’s own indiscretions? 4. Evaluate the theme of judgment in the novel. Who judges one another and what seems to influence them in forming their judgments? As a reader, how did you judge the various characters and what caused you to do so? Did any of your judgments change by the book’s conclusion? 5. What seems to drive the characters’ moral choices? Do the characters seem to share any overlapping motivations? If so, what do they seem to be most motivated by? What might this suggest about human nature? 6. How do the characters respond to their own wrongdoing? Are they able to acknowledge and own up to their own mistakes? Do they seem contrite? Does the book offer any examples of reconciliation, redemption, or peacemaking as the result of a character owning up to their mistake(s)? Discuss. 7. What does the novel suggest about appearances? Where do we find examples of things that are not what they seem? What causes the characters in the novel—or readers—to succumb to these misinterpretations? 8. How does Kim react to the tragedy that takes place at her daughter’s Sweet Sixteen party? She is accused by some of the other characters of caring only about herself and her reputation. What causes them to believe this? Do you agree with their assessment of Kim’s response or do you believe that she is misunderstood? Discuss. 9. Consider the motif of tragedy in the book. In addition to the central tragedy of the book, what other “minor” tragedies are exposed? What causes them? Do you believe that any of them could have been avoided? Explain. 10. What are Lisa’s reasons for suing the Sanders family even after they are found clear of any wrongdoing by the investigators? Do you agree with her decision? Why or why not? What impact does the lawsuit have on those it involves? 11. At the story’s conclusion, how has Hannah changed or otherwise remained the same? Does she seem to have learned anything from the ordeal? 12. Revisit the conclusion of the book. What happens to the Sanders family and to Ronni and Lisa? Were you surprised by the ending of the novel? Why or why not? 1. Consider an event that shaped the course of your own life or someone you know. Did the event unite or divide those it involved? How has your perspective of this event changed over time? Has anything positive ultimately come from this event? Discuss. 2. Use the novel as a starting place to consider the issue of bullying/cyberbullying among adolescents. What does the novel reveal about the culture around bullying? Visit stopbullying.gov to learn more, gather resources, and begin a discussion about ways you can help to prevent and/or stop bullying in your own community. 3. Compare The Party to other domestic or family dramas such as Jonathan Franzen’s The Corrections or Herman Koch’s The Dinner. Discuss what the books have in common, including any shared themes. 4. 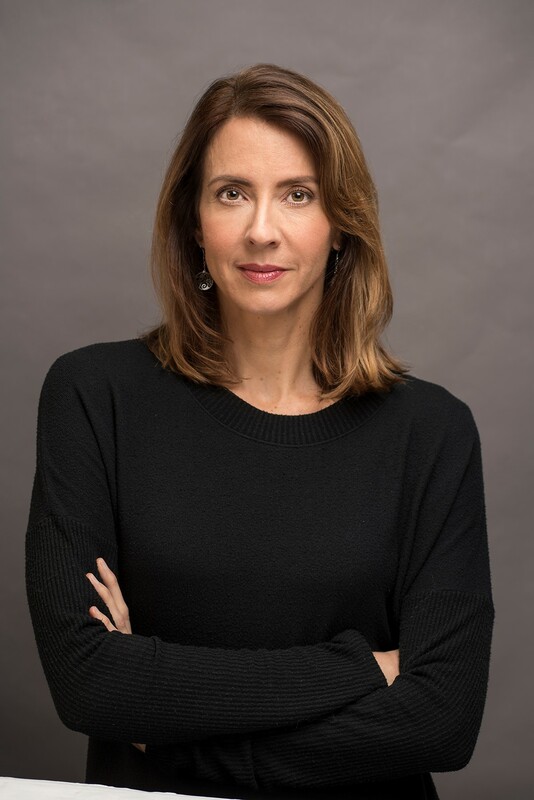 Visit the author’s website at www.robynharding.com to learn more about her and her other works including The Journal of Mortifying Moments, Chronicles of a Mid-Life Crisis, and The Secret Desires of a Soccer Mom. How did you get the idea to write The Party? Were you inspired by any particular real-life situation or would you say that you were more dependent upon your own imagination? As a mother of two teenage children, the use of substances is a real and relevant issue to me. I talked to a lot of parents about how they were handling their kids’ relationship with drugs and alcohol and I found vastly differing opinions. Some parents were zero tolerance, but many took a “they’re going to drink anyway, I’d rather they do it under my roof” approach. This made me imagine the worst-case scenario of kids partying at home, and how parents would really deal with that fall out. I also thought it would be interesting to have this happen to strict parents, who would see their daughter’s behavior as a betrayal. Is there a particular character in the book that you are most sympathetic toward? If so, why? All of these characters are very flawed individuals, but I feel sympathy for each of them at different stages in the story. While Kim Sanders is probably the least likable, ironically I feel the most sympathy for her. Initially, her character has lost touch with what’s important in life, and what true happiness means. Sometimes, it takes a life-altering event to wake a person up to what really matters. But by then, it can be too late. Why did you choose to tell the story from various points of view rather than a single point of view? I always find it fascinating how people perceive situations differently, particularly conflict. I felt that a horrific situation like the one in the book would be infinitely more interesting if we were privy to multiple perspectives. As you were writing, who did you envision as the prime audience for this book? It seems that the book contains lessons that could be useful to several age groups. I wrote this book for an adult audience, but I think teenagers will enjoy and relate to it, too. While most of the story takes place in the parents’ world, the teen storyline is prominent and pivotal. My daughter is sixteen and she’s a smart, sophisticated reader. While she still reads some YA novels, she enjoys a lot of adult fiction. Were there any events in your own life or adolescence that you feel largely influenced the course of your life or the lives of those around you? My dad died suddenly of a brain aneurysm when I was ten years old. Everything changed after that. When you experience a tragedy, you realize your whole life can be altered in a moment. I sometimes wonder who I would have become if he had lived, and if I would have made different choices with his guidance. My whole family was shaped by that loss. How do you think people can best put a stop to bullying and cyberbullying? As parents, we worry so much about our children getting good grades, making the team, or getting into a good college. But sometimes we neglect to emphasize being a kind and caring human being. And I think parents should monitor their kids on social media. It can feel like an invasion of their privacy, but the teenage brain is not fully developed. Kids post things online they consider benign but that could be hurtful or damaging to someone else. If children know there is even a chance their parents are checking up on them, they may reconsider posting something critical or cruel. If you could go back in time and give your adolescent self one message, what would it be? A perm is not a good idea. And also, that one day, you will feel comfortable in your own skin. I just read Bill Clegg’s novel Did You Ever Have a Family. I was afraid it would be too sad for me, but it was beautiful, so real and moving and smart. Liane Moriarty is amazing. Her writing is insightful and intelligent but still so accessible. I feel the same way about David Nicholls and Nick Hornby. And I am a huge Kate Atkinson fan. I don’t normally read a lot of mysteries, but I love her Jackson Brodie series. She inspires me with her little touches of humor in even the darkest tales. You have written several other works. How does this story relate to your previous work? Do you feel that it’s very different from your previous books or would you say there is a common thread among the works? Before this book, I’d considered myself a humor/comedy writer. My first novels were humorous women’s fiction (or “chick lit” to use a controversial term). I also wrote the screenplay for an indie dramedy titled The Steps, about a step family meeting for the first time. It’s very funny, but it does deal with some heavy themes (alcoholism, family secrets, parental neglect). Tonally, The Party is much darker than anything I’ve written, but I have always tried to create relatable characters and deal in real-life scenarios. To me, real people and this messy world we live in are more fascinating than a dystopian future or a fantasy land. How did writing The Party change the way that you write? Was there anything that surprised you in the course of writing the book? I took a lot more time with this book. I was very thoughtful with it. At times, it was tough going. I didn’t want to sit down at my computer and deal with this tragedy, to drag these characters through this turmoil and strife. But I knew this was a book that I would want to read and eventually, I got into! I enjoyed the twists and turns, the lies, betrayals and drama. I was surprised to find that I won’t plunge into a deep depression if I tell a dark and serious story. And there’s still room for a sense of humor in dramatic writing. Can you please tell us a bit about what you are currently working on? I’m working on a novel inspired by Canada’s most notorious female serial killer, who has served her time and is now a married mother of three, living in a new community. I’m exploring themes of retribution, redemption, and forgiveness. And I’m confronting some hard questions: Can people really change? Do they deserve a second chance? And can you ever outrun your past?